Singer-songwriter Jason Derulo is the latest star added to the upcoming film adaptation of Andrew Lloyd Webber's Cats, according to The Hollywood Reporter. 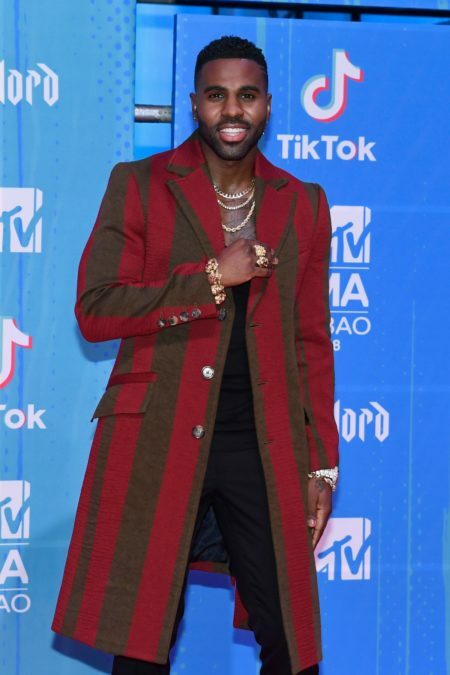 Derulo will take on the role of curious cat Rum Tum Tugger in the highly anticipated screen version of Andrew Lloyd Webber's Broadway hit, scheduled to be released on December 20, 2019. Derulo's solo recording career kicked off in 2009. Since then he has sold more than 30 million singles, including the celebrated songs "Wiggle," "Talk Dirty," "Whatcha Say" and "In My Head," for which he earned two MTV Video Music Award nominations. Derulo's latest album, titled Everything Is 4, debuted in 2015, with the upcoming 2Sides to be released soon. Derulo joins a previously announced slate of stars that includes Jennifer Hudson, James Corden, Ian McKellen, Taylor Swift, Rebel Wilson, Steven McRae, Francesca Hayward, Judi Dench, Idris Elba and Laurie Davidson. Additional casting is forthcoming. Based on T.S. Eliot's Old Possum's Book of Practical Cats, the musical tells the story of the Jellicle cats and each cat's individual quest to be selected as the lucky one who will ascend to "the Heaviside Layer." The Cats film will be directed by Tom Hooper and choreographed by Wayne McGregor.